In the latest edition of WWW, Coinadrink MD Roger Williams explains why we didn’t charge our ‘operated’ customers to up-grade coin mechanisms. 2017 marks a significant milestone for Coinadrink. On 2 February, we’ll be celebrating our 55th birthday and even as we’ve been planning how we’ll celebrate and commemorate this auspicious event, my mind has been taking me back to the world as it was when first we opened for business. Much as I’d like to think otherwise, the foundation of Coinadrink doesn’t quite make it into the list of 1962’s Top Ten events! We didn’t realise it at the time, but 1962 was an eventful year; one which would have an enduring impact on the world. When we opened for business, Harold Macmillan was PM and according to him, ‘we’d never had it so good’. I suppose he had a point: inflation was low, at just 1.1% and pretty much everybody was in work. The average price of a house was £2,670 – although such a sum would have bought you something pretty impressive in Walsall – and the average wage was £799 a year. A pint of milk cost 1/4d (that’s 6.5p in ‘new’ money!) and a pint in the pub would set you back 2/4d, (11.5p). People often ask me ‘Roger, how come you never expanded the business and set up in London?’ It’s a fair question, but the truth is, I never really thought about it. Don’t get me wrong, I could see the attractions that were luring some of my competitors down to ‘the Smoke’. At the time, it seemed vending operators could virtually charge what they liked. Similar contracts could earn you double down there what they’d earn you in Walsall, Wednesbury or Wolverhampton in those days. 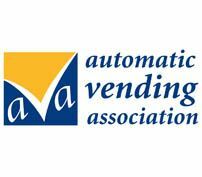 I thought, ‘stick to what you do best’, and I realised that what I did best – what Coinadrink did best – was provide a vending service with a personal touch to customers in and around our base in the West Midlands. So, that’s what we did and I’ve never regretted it.